MOSCOW, December 10. /TASS/. 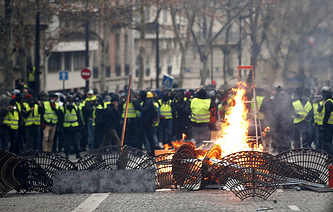 Statements about Russia’s alleged involvement in the French protests are nothing but slander, Kremlin Spokesman Dmitry Peskov told reporters. 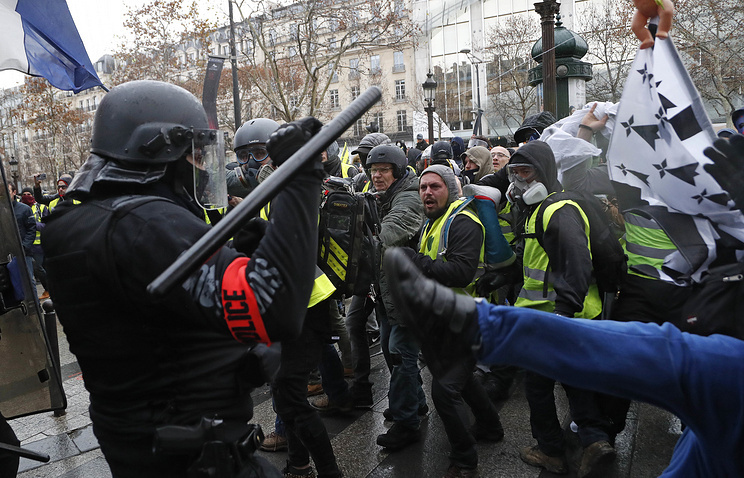 "Any statements about Russia’s alleged involvement are nothing but slander," he said when asked to comment on media reports about alleged foreign involvement in the Yellow Vest protests in France. In particular, The Times said, citing sources, that Russia could be the force behind in the protests. Peskov stressed that "Russia considers these developments to be France’s domestic affair." "We have never interfered in the domestic affairs of other countries, including France, as we place much importance on the development of bilateral relations and both countries have been working rather hard to that end," the Russian presidential spokesman added. Peskov also pointed out that Russia respected France’s sovereignty. "We are grateful when France responds in kind," he stressed.